Vinyl fencing is a classic choice that looks good with minimal maintenance. Fences come in a wide variety of materials and finishes, which can make choosing the right one for you seem like an insurmountable task. Fencing is available in materials such as wood, iron, bamboo, aluminum, chain link, and vinyl. Vinyl fences have become popular in recent year due to their clean look, low maintenance requirements, and a number of other factors. Read on to learn more about the many benefits of vinyl fences. Unlike other fences which can contribute to waste by needing constant replacement and repair, and possibly even care or creation with harsh chemicals, vinyl is a very low key and green fencing material. These long lasting fences often come with warranties, last for years and years, and can be easily recycled when they eventually outlive their use, meaning that you can fence smarter. Vinyl is five times as strong as wood, meaning it takes far more bring down or damage vinyl fences than wooden fences. Vinyl fences do far better under inclement weather conditions than wood and are often favored in seaside towns where there is a lot of salt water exposure. IT is also popular for enclosing in animals such as horses, as they cannot chew through vinyl or hurt themselves breaking it apart if they attempt to run through it. Unlike wood fences, which require constant attention to make sure they aren’t suffering from insect infestation or weather damage, vinyl requires next to no maintenance. Occasional cleanings with soap and water is more than enough to preserve the look of your fence. You do not need to worry about repainting it, priming it, or inspecting it closely after storms. Vinyl does not change or lose its color over time and does not lose its strength either. 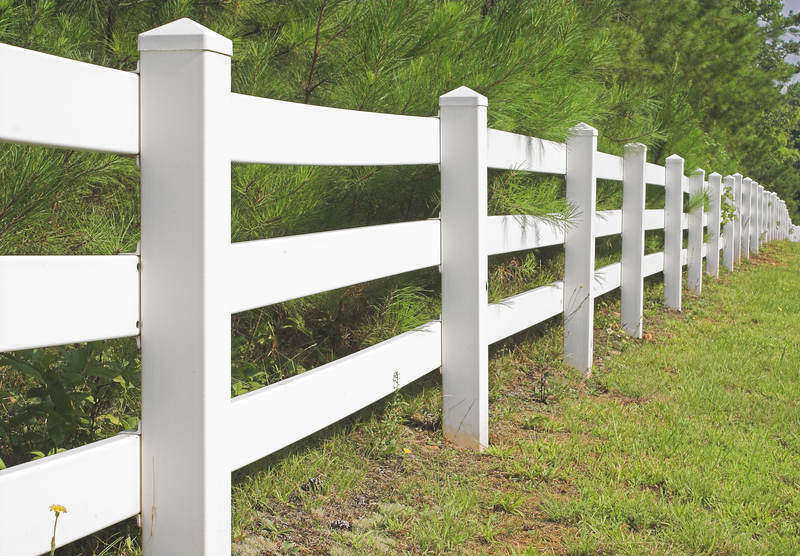 Whether you want a charming picket fence or a stunning honeysuckle natural fence to frame your yard, Hercules Fence has the expertise and equipment to repair or construct your dream fence. Our experienced team can help meet your fencing needs, whether they’re residential or commercial, for the right price. Give us a call at 804-752-7992 or visit us online. To see examples of our work and keep in touch, don’t forget to follow us on Facebook, Twitter, Google+, LinkedIn, Flickr, and Pinterest. This entry was posted on Friday, July 1st, 2016 at 7:20 pm. Both comments and pings are currently closed.